Right Sector’s ex-leader starts a new political movement and invites his former followers. At least the moderate ones. Dmytro Yarosh: We categorically reject pseudo-revolutionary activity that threatens the existence of Ukraine as a state and stains the reputation of the patriots. 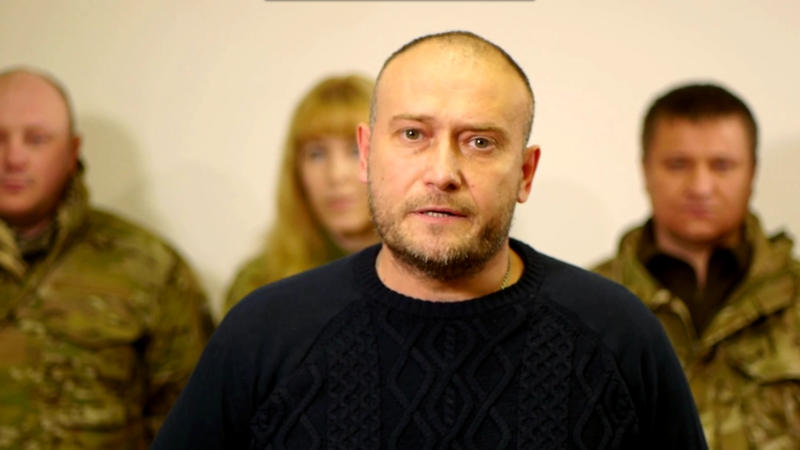 Yarosh left Right Sector in November because of rivalries over the movement’s strategy. His rivals supported a more radical policy against the government. The initiation of the new movement looks like an attempt to take over ‘moderate’ parts of Right Sector and to include new personnel. Since the armed conflict in the East is under relative control, acceptance decreased for some extremist parts of Right Sector who stood in (armed) opposition to the government. In this respect, Yarosh’s new project is a reaction to changing realities or an attempt to transfer political capital into institutional politics. Translations from Unian, see also Holmov’s comment.